The latest Why Social Science? guest post comes from Lee Hoffer, Associate Professor of Medical Anthropology at Case Western Reserve University, who writes about how participatory research involving people suffering from substance use disorders can give us new perspectives on addiction. Read it here and subscribe. The latest Why Social Science? guest post comes from Taylor Scott and Max Crowley of the Research-to-Policy Collaboration (RPC), who write about how the RPC is connecting social scientists and government officials to enhance the use of research in policymaking. Read it here and subscribe. The latest Why Social Science? guest post comes from Brandi Gilbert of the Urban Institute and Nnenia Campbell of the Natural Hazards Center at the University of Colorado, Boulder, who write about what social science research related to children and older adults has taught us about building community resilience and enhancing recovery after disasters. Read it here and subscribe. This latest Why Social Science? guest post comes from David Yokum, Director of the The Lab @ DC, who writes about how cities are using insights from the social sciences to test and improve policies and inform decisions. Read it here and subscribe. 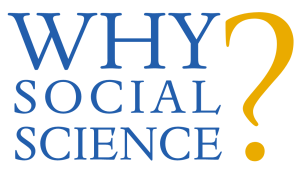 This month’s Why Social Science? guest post comes from Ron Wasserstein, Executive Director of the American Statistical Association, who writes about how social scientists use federally collected data to provide the public with intelligence and insight to make smart decisions. Read it here and subscribe.